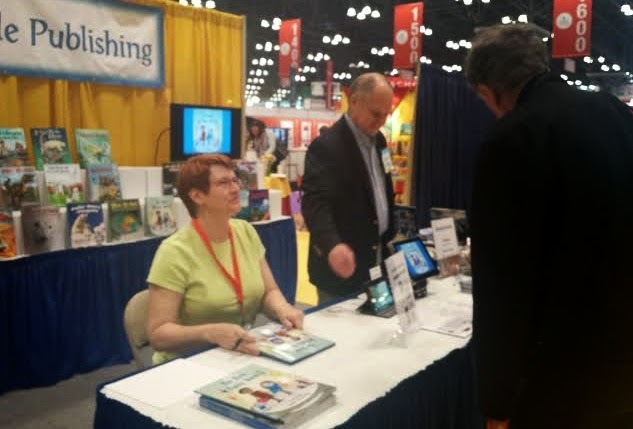 Sheila of Book Journey is back again with more coverage from BEA! Author Kristin Haas had her very first signing this Saturday at the Book Expo! Kristin (who is a delight to talk to) is excited about her first book, The Shape Family Babies, a children’s book about a family who are different shapes and colors, which in my opinion, looks to be a fun read. *Spoiler Alert* “It’s a love story,” Kristin says. Kristin shared that she wrote this book over a very snowy day, revisited it for about a month, and then left it on her computer for five years! After the years had passed she thought of her story again and decided to see if anyone would publish it, she put out inquiries, and about 6 months later Arbordale Publishing contacted her and wanted to publish her book. Speaking with the owner of Arbordale Publishing, Lee German, the company specialized in children’s books with teachable moments in math and science. 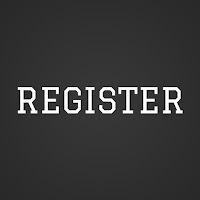 Every book that Arbordale publishes (which is around 20 books a year) comes with online access to an additional 40 – 60 pages online of teaching information that ties in with the book as well as 3 quizzes. All this information is on their website. 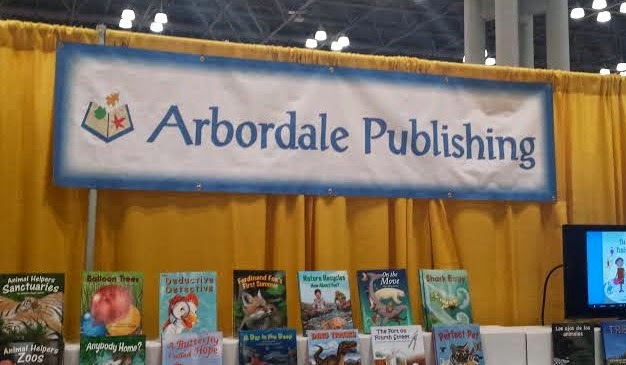 In addition, Arbordale publishes all of their books in both English and Spanish. Teachers can pay for a yearly subscription to receive access to all of their books online that are both languages and are also audible in both languages. Lee says that they are the only publishing company in the US to do this. Kristin’s book The Shape Family Babies is beautifully illustrated and Lee points out that most of their illustrated books are very realistic pictures, yet with Kristin’s book they went a different route, and are very pleased with the look. With all the wonderful educational additions added to an Arbordale book, the process from accepting to publish a book to actually having a completed book is right around 18 months. 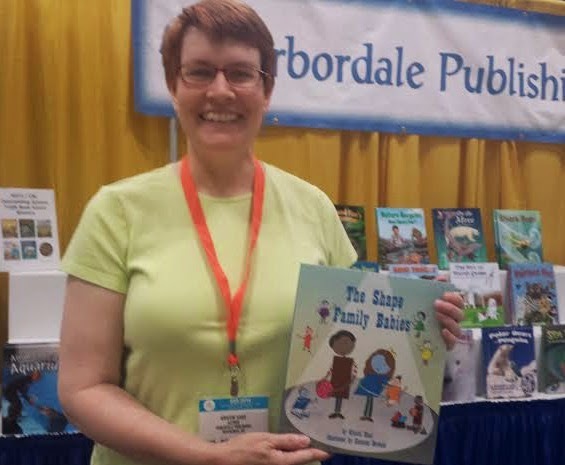 Please, please check out the awesome website for ArbordalePublishing as well as Kristin Haas’ delightful debut, The Shape Family Babies. Thank you so much Sheila, Kristin, and Arbordale Publishing! Congrats on your book, Kristin. Your publisher is one of my favorites! I adore Arbordale Publishing and all their books! And, Haas' book pleasantly surprised me. It is such a cute concept and my daughter reads it over and over again! Announcing the Top Cheerleader Prize! Announcing Daily Winners: Instagram Day 6!